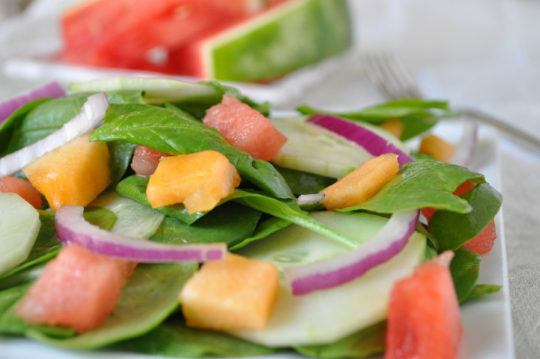 Looking for a great summer salad that’s refreshing, colorful, and jam-packed with flavor? Here it is! Give your taste buds a thrill with this fruity spinach salad accented with Maple Pecans, if desired. Look for more yummy recipes from Holly Clegg's trim & Terrific Gulf Coast Favorites. Simple and adds that extra enticing crunch and sweetness to any salad or use as a snack.